Would you have considered yourself a good speller back in the day? Try to remember back to the 1st grade. Crayon in hand, scribbling out your new vocabulary words of the week on big dotted blue lines. The beauty of a new communication method using no sound, but simply learning how to spell and applying what you’ve learned to a big sheet of writing paper. All through grade school we were taught how to recognize sounds and letters in order to form words, sentences, paragraphs and now essays. However, through all the years of hard work and learning how to properly communicate, it would be absurd to choose to make grammatical errors despite what we’ve been taught since the age of six. “How do you spell the word ‘lose’?” This question was asked to 27 students at Frank Sinatra School of the Arts (FSSA) picked at random and the results were slightly alarming. 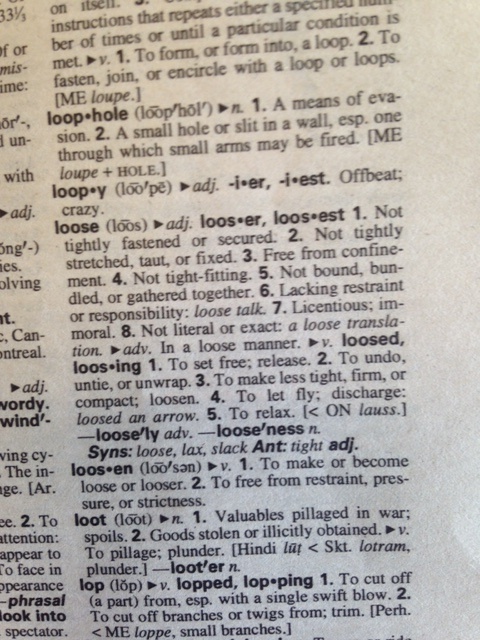 Out of the total number of spellers, almost half claimed that the word “lose” was spelled as “loose.” The ratio 13:14 students made a grammatical error on a word as simplistic as grade school level. How can misspelling a minor word become so popular? The answer is social media. Being that our generation thrives upon the digital world behind our computers and touch screens, we have become accustomed to things like auto correct and spell check. Plus the world we’re connected to provides snippets of stories and communications via Twitter, Facebook, Instagram, Vine and many other social networking systems. Many small grammatical errors have been seen multiple times across the world wide web and continues to trend, leading people to believe that their grade school teachers were lying when they were learning to spell properly. Misspelling the word “lose” is not the only popular error people are making. Misusing “there”, “their,” and “they’re”, “too” and “to,” “your” and “you’re” are also constant offenders. All of these misconducts have spread like wildfire due to the convenience of social media. The solution to this problem is to correct the problem. Make choices that are grammatically correct and help your peers out as well. Strengthen your vocabulary by reading challenging books and exposing yourself to higher levels of education. Pay attention to your flash cards while studying for the SAT, it will help you in the long run.